"strongholds has increased to 128 per world. They generate in rings with the strongholds evenly spaced around the circle until the total of 128 is reached"
Which means everything works normally on the first ring (ringNumber starts at 1), but on the second ring it goes around the circle twice, placing two strongholds at the same position on the circle, on the third ring it places 3 strongholds together, etc. Due to the way distance is randomised, these stronghold clumps tend to be arrange in lines. 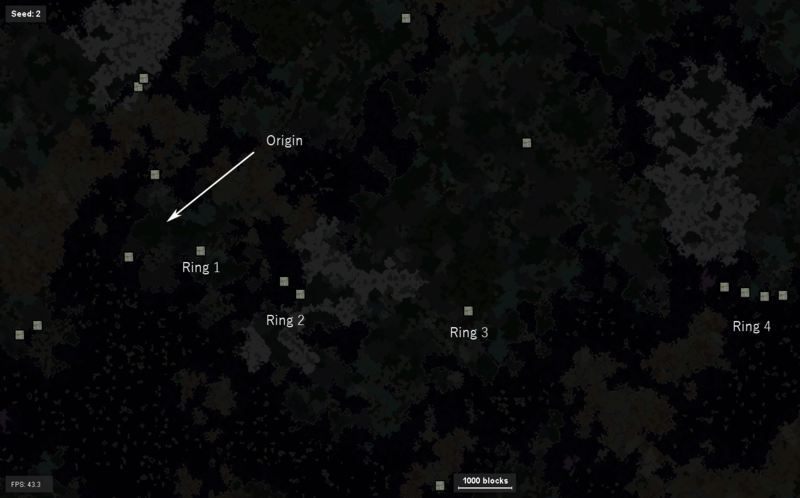 You can see this is probably not what Mojang intended, except for ring 3, which probably is what Mojang intended, and works because the ringNumber (3) didn't divide evenly into the number of structures for that ring (13), so they didn't end up overlapping. The number of structures per ring is slightly randomised, so for the seed 2 diagram above, ring 1 has 3 structures, ring 2 has 6 structures, 3 has 13 structures and 4 has 28 structures. If going around the circle more than once is intended behaviour, Mojang might not have noticed that ring numbers frequently divide evenly into structuresPerRing - random bad luck might have meant the seeds they tested on produced the correct behavior.